DW: Citizen journalist site Bellingcat has investigated the MH17 satellite images released by Russia’s Defense Ministry in 2014. The images, it says, were not just photoshopped. 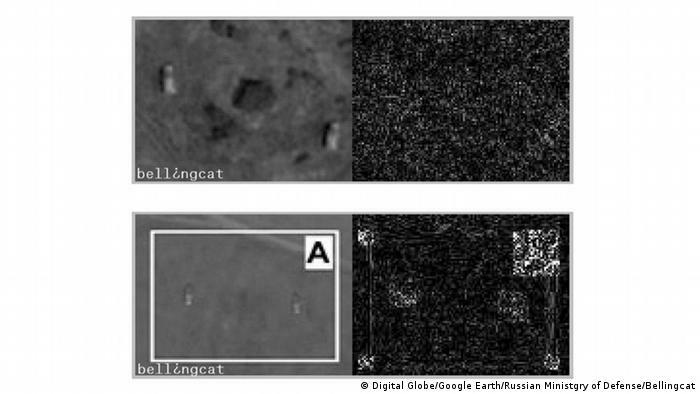 It’s the “farmer’s field” that best illustrates the first of the two methods the Bellingcat team used to detect the satellite forgeries. First, in the image below, note the “rows” in the field in the frames marked July 2nd and July 21st. 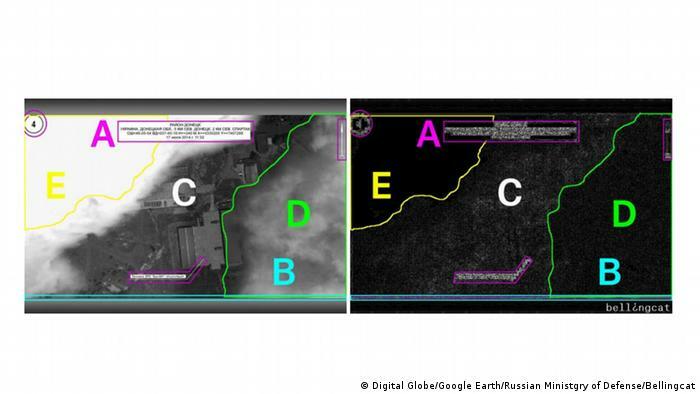 These rows are “absent” in the May frame – and they also appear to be absent in the satellite images released by Russia’s Defense Ministry (upper left and bottom). 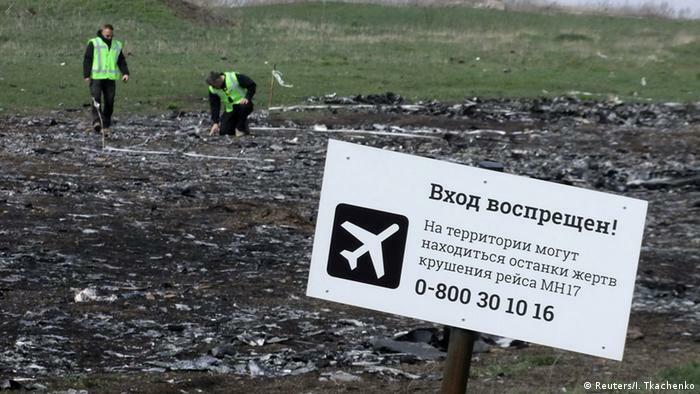 The problem: Russia’s Defense Ministry said its satellite pictures were taken on July 17 – the day Malaysian Airlines Flight 17 was shot down over Ukrainian territory, killing all 298 on board. 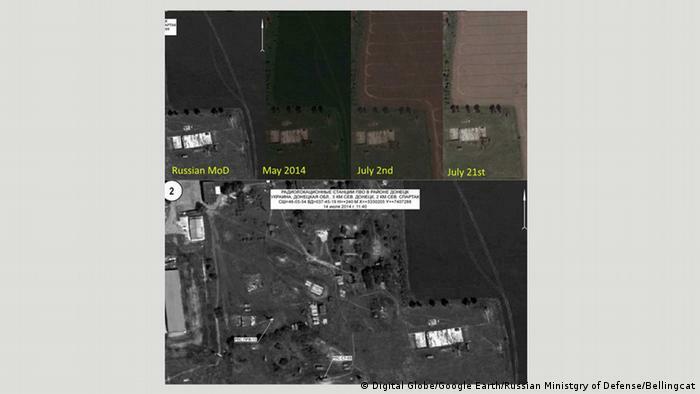 According to Russia’s Defense Ministry, what “Picture 4” shows – and the above images are just snippets of the full satellite image – is one of the three Ukrainian anti-aircraft missile battalions in Avdeevka, north of Donetsk. In other words: The Ukrainian army had anti-aircraft weapons in place that could have shot down flight MH17. “Picture 4 was taken between 1 June 2014 and 18 June 2014,” writes lead author and Bellingcat founder Eliot Higgons. In other words, the missiles were there – but at least one month prior to the downing of the flight. Zooming out from the farmer’s fields, the team found another problem with Picture 4. Photoshopping an image leaves behind a kind of visual white noise, or “error levels.” While these are to be expected in areas of the image that have been intentionally modified – banners and explanatory text, for instance – cloud cover should not affect the compression of the image itself. The difference in the error levels between areas D and C, the team argues, cannot be explained by the image’s content – i.e., clouds. Russia’s Defense Ministry says this image shows a Ukrainian air defense brigade with two self-propelled Buk missile launchers stationed south of the village of Zaroschinskoe in eastern Ukraine. The forensic analysis of Picture 5’s error levels led the Bellingcat team to conclude “with a high degree of probability” that certain areas of that image had also been digitally modified. This is most readily visible in the case of a few Ukrainian army vehicles. In the top two images below, the vehicles are really there; there is no “white noise” in the analysis of the image’s metadata. But in the bottom two images, two blocks of white noise show signs of digital manipulation. Just as with Picture 4, the Bellingcat team has also contested the date of Picture 5. Russia’s Defense Ministry dates that picture, as well, to July 17, 2014.